Dan Trott is Healthcare Field Director for Dell EMC. His entire career has been in healthcare, starting as a Physician’s Assistant in Diagnostic Imaging. 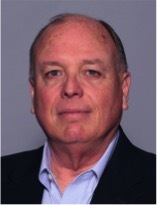 After several years managing a radiology practice, Dan joined the Eastman Kodak Health Sciences Division where he held numerous sales and marketing positions over 14 years departing Kodak as Vice President of Sales and Marketing for Kodak’s first PACS subsidiary. Dan led sales and marketing teams in several medical imaging startup companies and prior to joining Dell in 2010 was the Medical Archiving Director for IBM. Dan’s first position with Dell was as the Strategy and Business Development Manager for the Unified Clinical Archive that is now part of NTT data. Dan is now the Healthcare Field Director for the Dell EMC Healthcare/Life Science team providing HCLS SME and sales support for North Texas, OK, KS, NE, Western MO, Iowa, MN, SDS, and ND. Dan holds a PA-Diagnostic Radiology certification from the University of Kentucky, a BA in Biology/Chemistry from the University of Texas at Austin and an MBA from Rivier University.